...in front of my NEW PHOTO BACKDROP! If you follow me on Facebook or Instagram, a few days before my surgery I shared a photo of a lovely parcel that arrived on my doorstep. 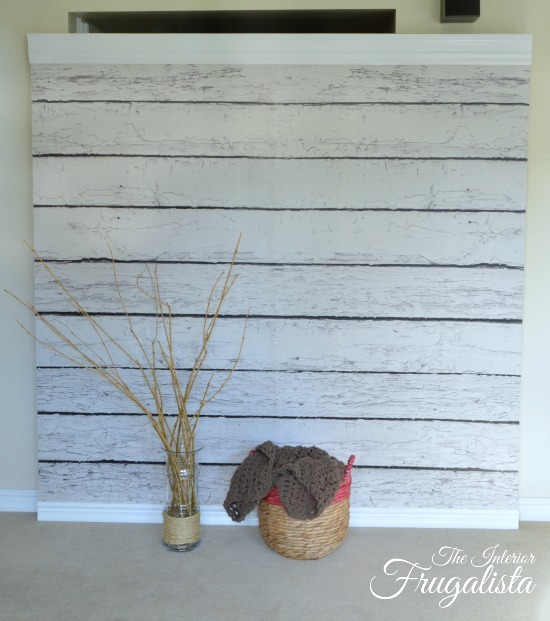 Thanks to the good folks at InkShuffle, a Canadian company based out of Toronto, I received a fabulous White Barnwood Easy-Off Mural! While I received a product in exchange for a review, all opinions, mural choice and words in this post are 100% that of my own. I accepted this offer because I believed it was a product that would bring value to you, my readers. 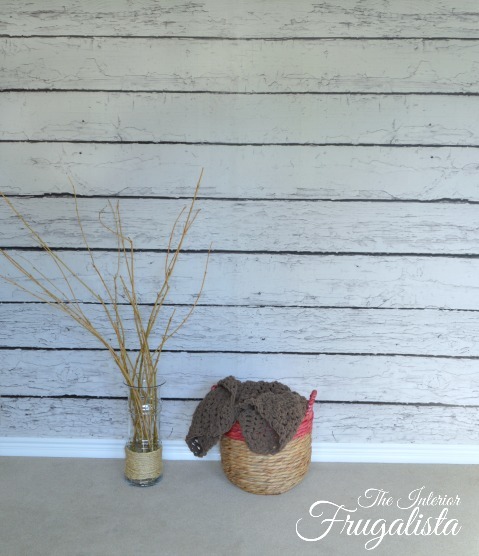 Doesn't that Barnwood look like the real thing! ...the day after my surgery. Perhaps not a good idea because it is evident in some of the photos that I clearly had no business operating a camera. It took days for me to narrow down my choice from the hundreds of Easy-Off Wall Murals available at Ink Shuffle. 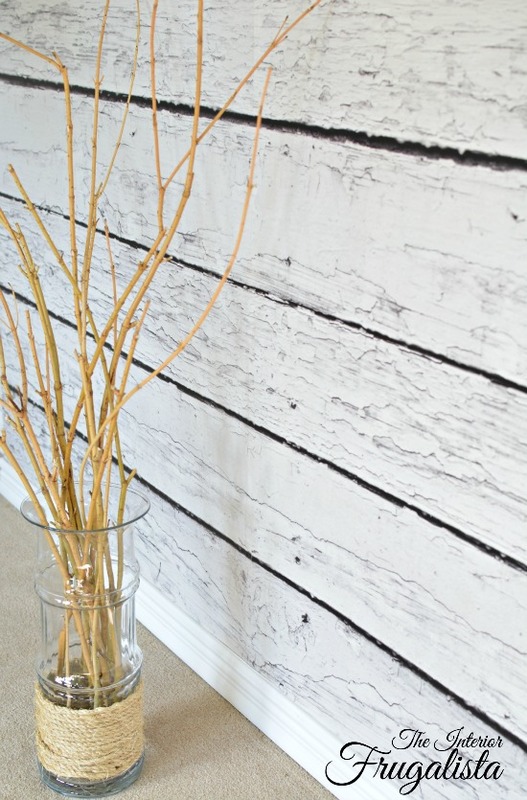 I kept going back to this White Wood Background. 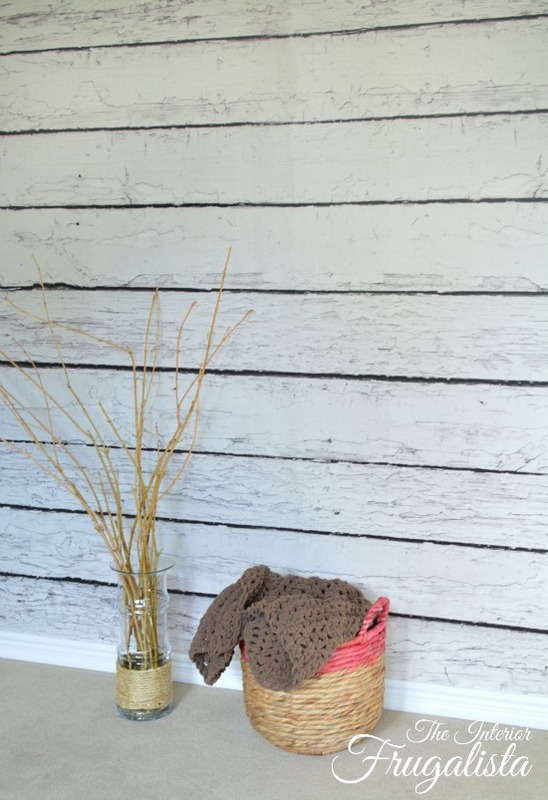 There isn't a wall to be had in this house suitable for taking photos. 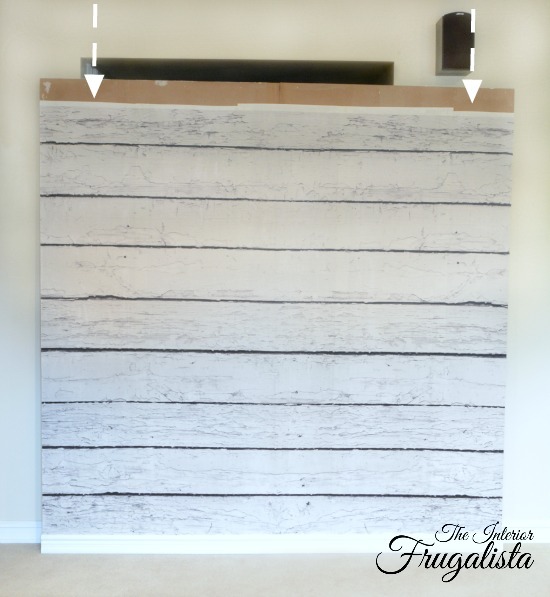 Last year Mr. Frugalista and I built a portable 6' x 6' backdrop that I can easily slide out from a bedroom disaster zone with furniture stacked to the rafters, into our adjacent family room. 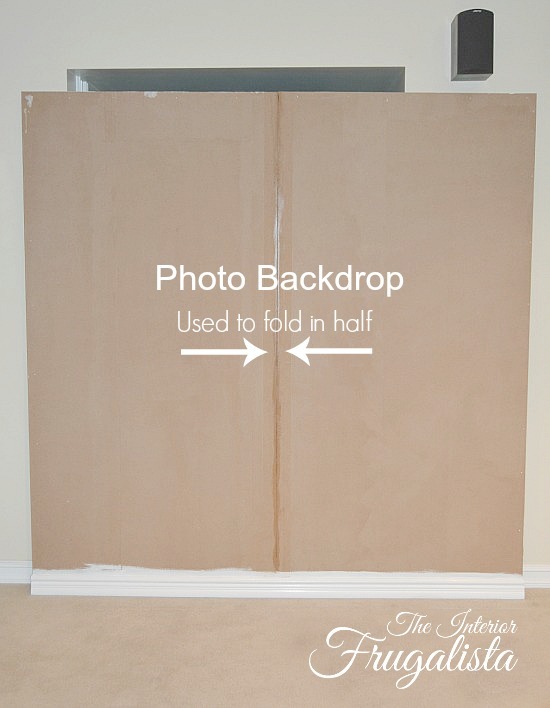 Initially, we built the backdrop to fold in half (hence the seam in the middle) but that ended up being a nuisance. 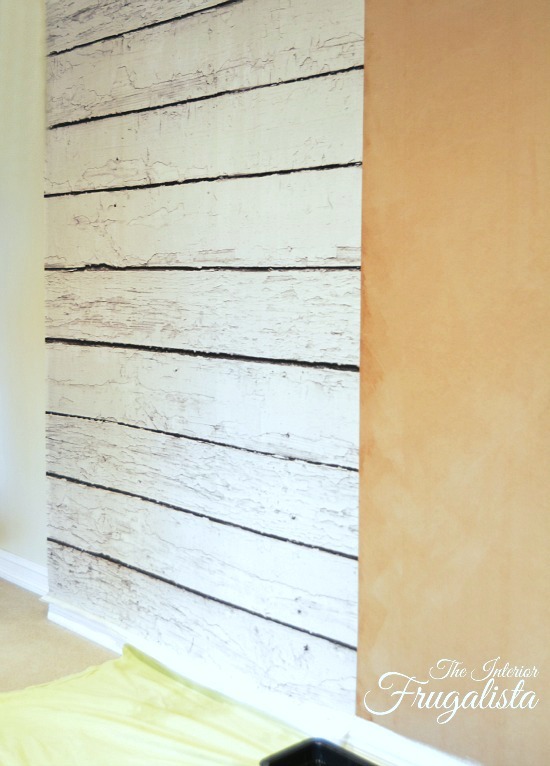 The backdrop used to have white beadboard paintable wallpaper on it. After the laborious task of stripping the paper from the hardboard, we Mr. Frugalista got busy installing the new mural. 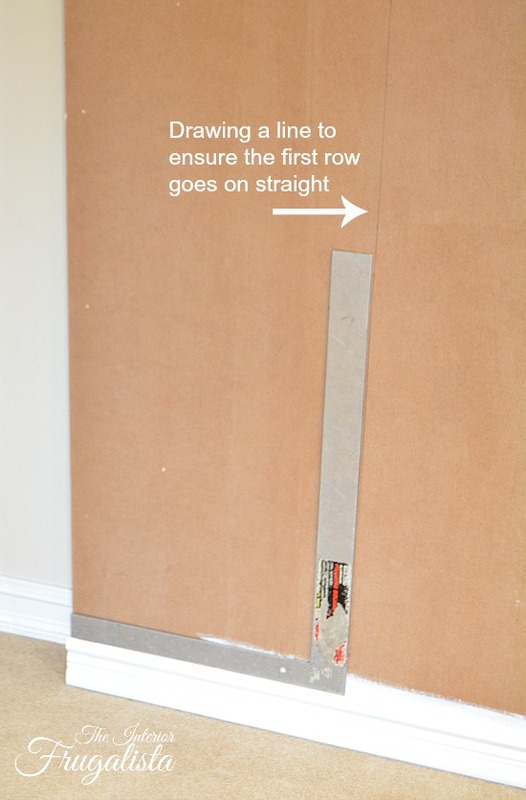 It came in 16" wide panels that are numbered for easy installation. They are pre-pasted and all you have to do is soak in water for 2 minutes to activate the adhesive. Sorry for the blurry photo...again, I should not have been operating a camera. 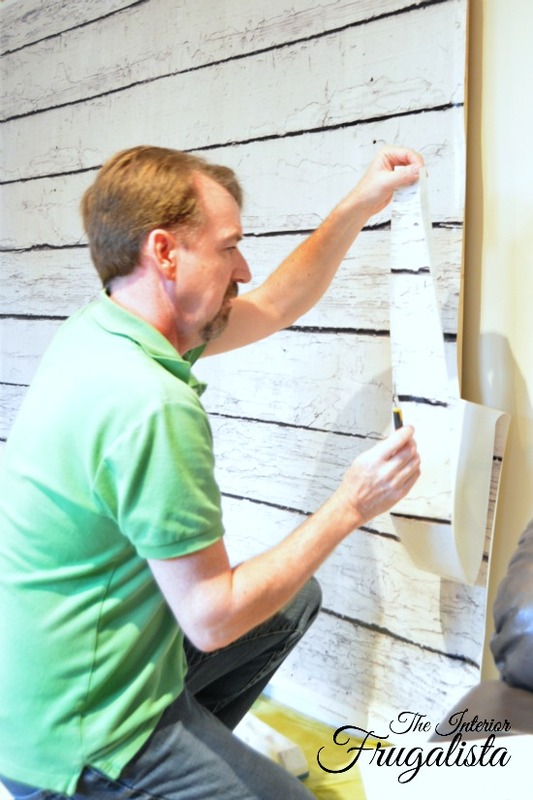 But first we (hard to relinquish control) HE sized the wall by marking the first row to ensure a nice straight line. 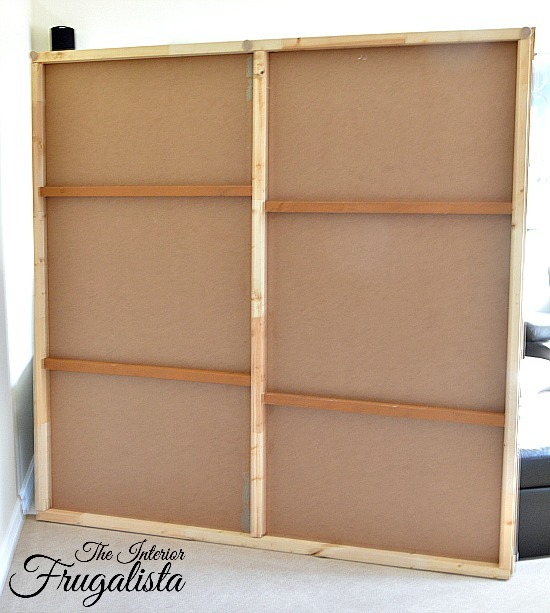 They were so easy to hang because each panel has a mark that you line up over one another on the top and bottom. It was really easy to adjust the panels while lining them up and we were surprised by how the paper didn't wrinkle in the process. 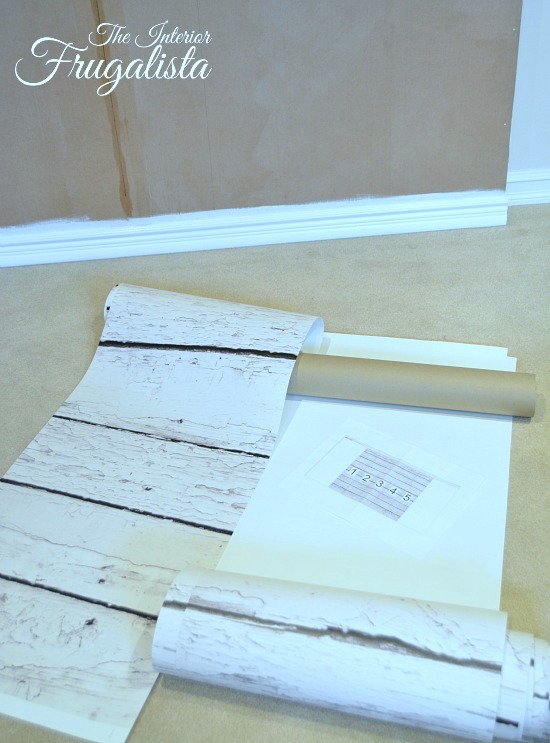 The air bubbles that appeared under the paper were few and easily removed with a wallpaper brush. Two rows completed - easy peasy! The entire wall was finished in mere minutes. Afterward he simply wiped the panels with a cloth to remove any excess moisture. Another thing that's so awesome about these murals is that they are Easy-Off which is perfect for renters! 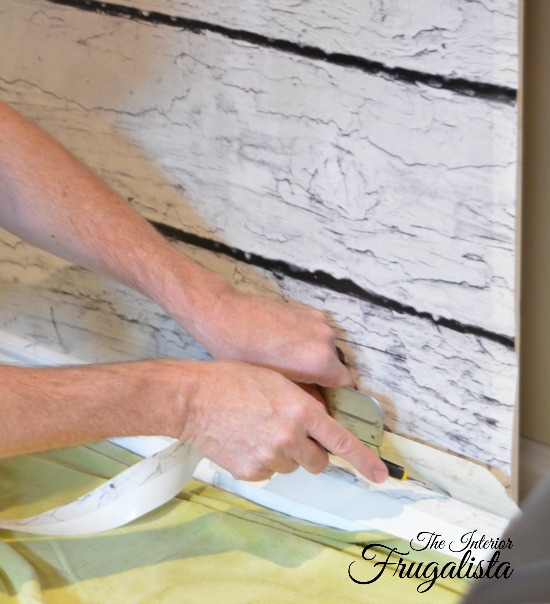 There is no messy scraping or steaming and the panels essentially peel off in seconds without damage to either the wall or the paper! 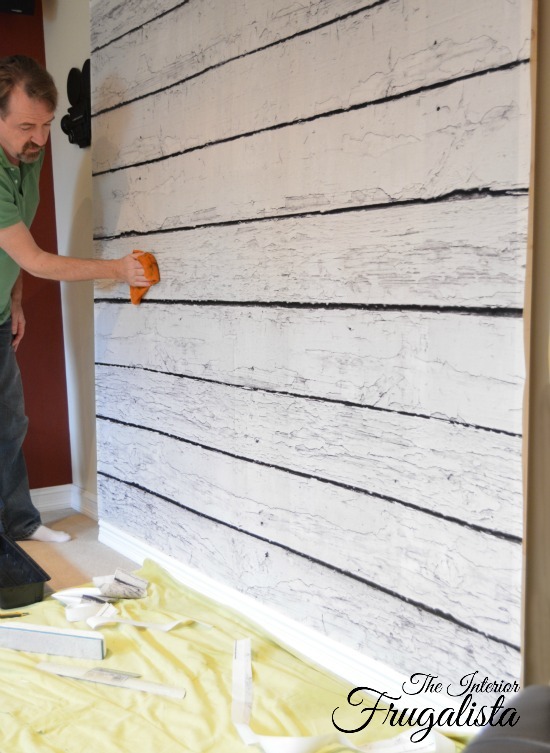 We decided to put that to the test when we had to readjust the last panel after it was dry. Here it is captured on video. Not only did I have no business taking photos while under the influence of the general anesthetic, I definitely had no business taking video! Sorry, I have to apologize for the quality of that video. Poor lighting (hence the reason I changed it to black & white), didn't use a tripod, aaaaaaand, this is my FIRST blog video EVER. When you're determining the size you need to order, Ink Shuffle suggests you allow for an extra 2" all around. 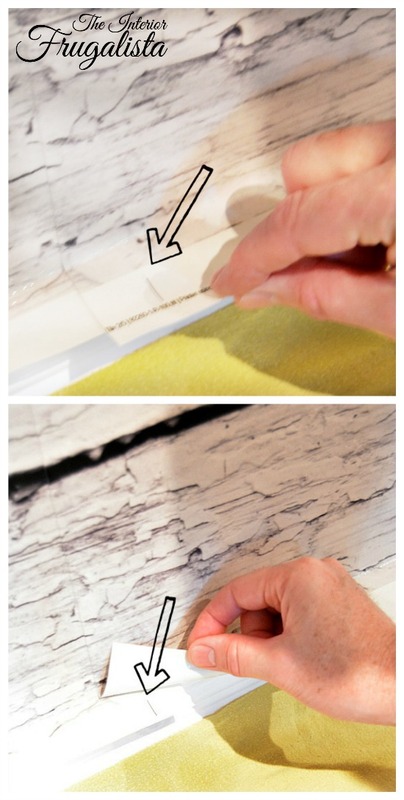 The excess was easy to cut off using a sharp x-acto knife and a straight edge. Some, not all murals, come in a maximum size of 8'w x 5'h and mine was one of them. My photo backdrop is 6' x 6' but I REALLY wanted this particular mural. I managed to order it in 6'w x 5' 6"h, essentially 6" too short. There is an option to print the image larger, but it may lead to pixelation, unwanted blurriness or color effects. The recommended settings give a sharp print, as was the case with my gorgeous mural. So I caution you to pay careful attention to the maximum sizing options when ordering. So we fixed that problem by gluing crown molding onto the top. 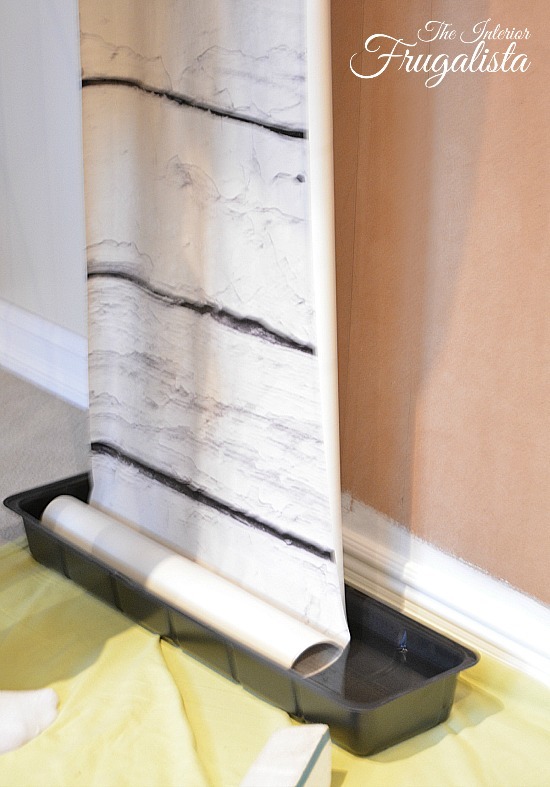 In case you're wondering how the backdrop is constructed, here is a picture of the back. Sorry, another blurry picture. 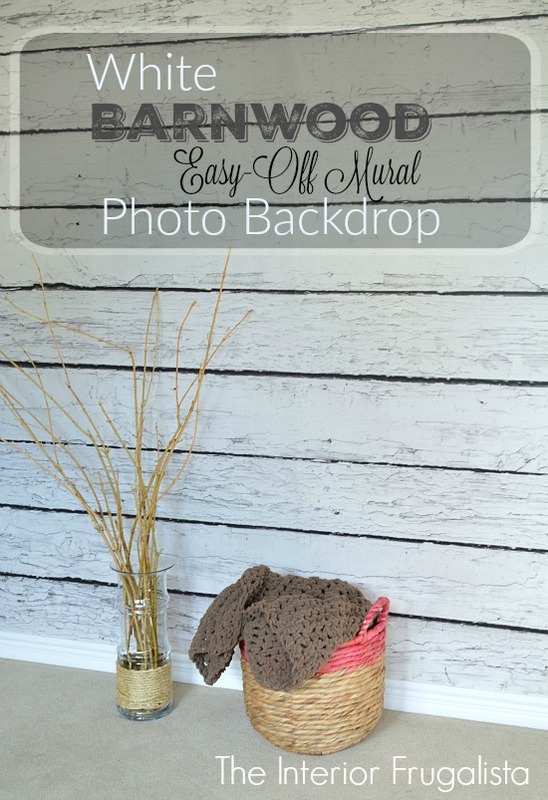 I'm so thrilled with my "faux but photographs like the real thing" White Barnwood Photo Backdrop! Ink Shuffle ships by Fed Ex anywhere in Canada and the USA. I was surprised by how quickly mine arrived on our doorstep. Now, here's another very cool thing, you can create a personalized mural by uploading your own artwork or favorite photograph! You may not want that photo of Aunt Myrtle's toothless grin as she blows out all 99 candles on her birthday cake, but you may want that awesome picture you took while strolling the streets of Paris on a feature wall. As I said at the top of this post, Ink Shuffle has hundreds of murals available but they make browsing easy by having them organized by category in their Mural Gallery. 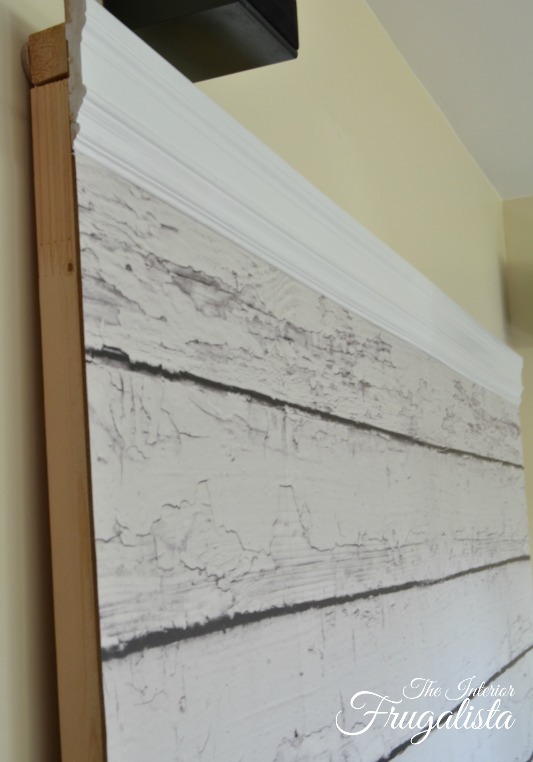 To learn more about the product, here is a link to Ink Shuffle's About Easy-Off Wall Murals. I can't wait for my first furniture photo shoot! I'm on the fence about whether I should keep the trim white or make it look aged. What do you guys think?